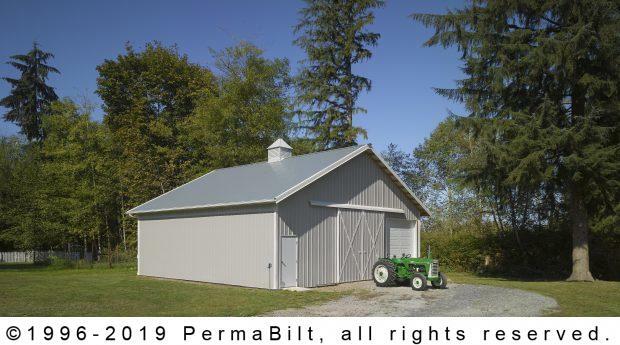 PermaBilt was pleased to fulfill a long time dream of clients in Snohomish Washington. For years the husband had wanted a shop for his tractors and other equipment. 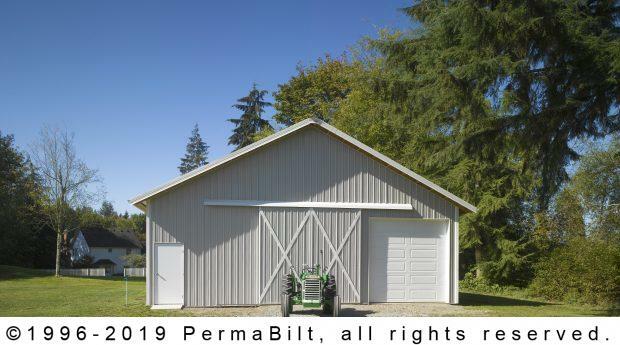 His wife was fine with the new shop, however her only hope was the shop be built to look like a barn. This couple came to the right post frame company. 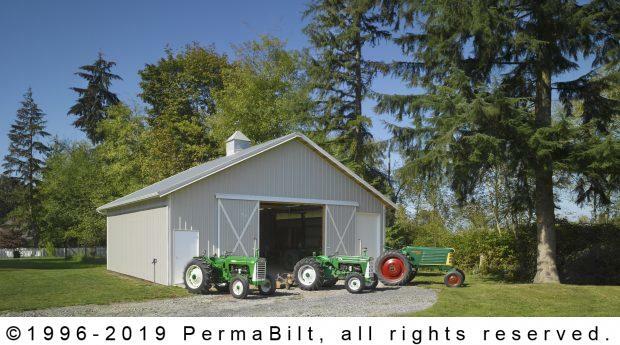 Through the years PermaBilt has built dozens of such post frame structures. 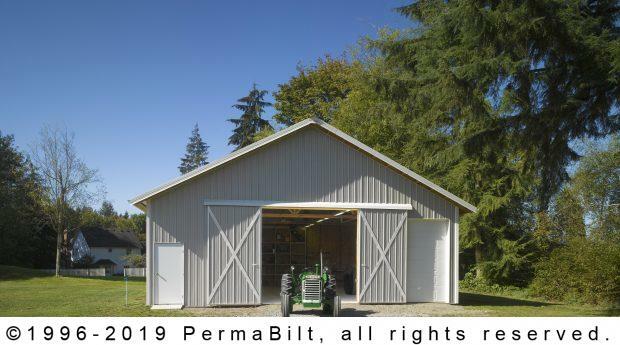 It is a common occurrence for our clients to desire a garage or shop appear to be usually a barn. 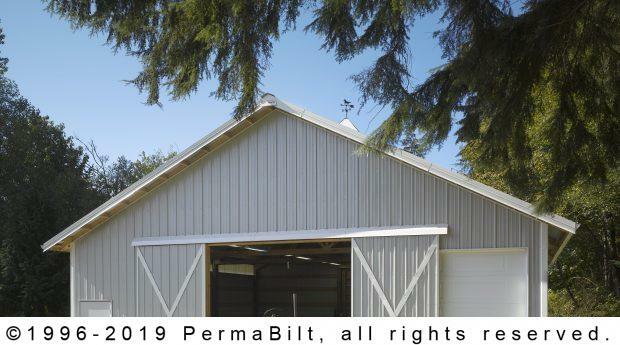 The shop featured a 12’ x 11’ cross-hatch split sliding door, 18” overhangs and a 36” x 36” cupola vent with horse weathervane adorning the top of the shop. After we received the permit, the customer called and wanted to add a garage door to the building. He’d been waiting for years for this shop and wanted it to be just right. A change order was executed and before long we proceeded with the construction. We are happy to report, that after waiting so long for his shop, the customer is thrilled with the outcome.